When it comes to cleaning hardwood floors, special attention must be paid not to scratch, scuff or otherwise damage the wood. Most standard vacuum cleaners are not particularly well-suited for the job, because they are heavy and have abrasive brushes. According to Consumer Vacuum Reviews, you will want a lightweight, maneuverable vacuum that puts the least mount of strain on your body as possible. 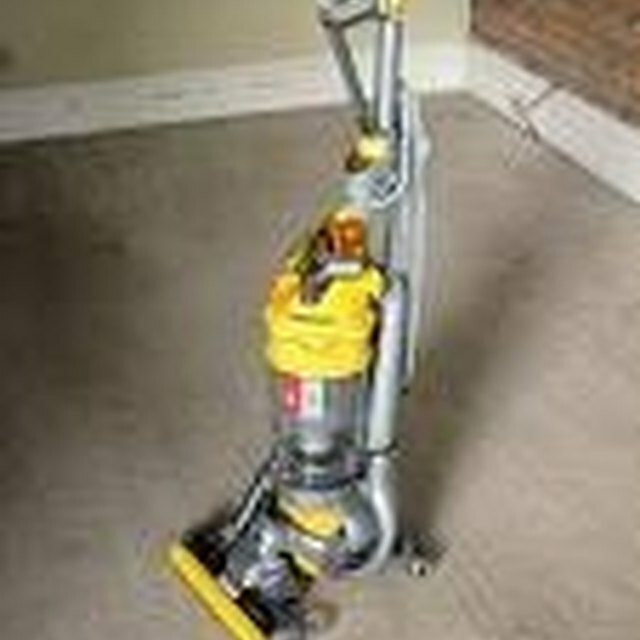 Bissell, Sanitaire, SEBO and Hoover make some of the best hardwood floor vacuums available. The Bissell Versus Bare Floor Vacuum is specially designed for cleaning hard surfaces, including hardwood floors. According to Shop Wiki, the Versus features a distinctive swiveling V-shaped cleaning apparatus, which allows you to navigate the vacuum into tight spaces and around corners. Its 12-amp motor provides optimal suction power for quickly picking up dirt and other messes, and its bagless system means you never have to buy replacement bags (just empty the container when it's full). According to Vacuum Wizard, the Sanitaire Commercial SC5845 Bagless HEPA vacuum cleaner is a reliable, multi-purpose vacuum that works exceptionally well on hardwood floors. Its commercial 10-amp motor is powerful but quiet, and—according to Upright Bagless Vacuums—its overall construction is much more durable than that of a typical household model. The SC5845 also features a sealed HEPA filtration system, which helps eliminate pollen, dust, dust mites and other microscopic allergens form your floors. The SEBO C21 canister vacuum cleaner is equipped with a number of attachable tools and nozzles, which can help make cleaning your hardwood floors a cinch. According to Achoo Allergy, these include a delicate brush designed especially for wood floors and a crevice nozzle for cleaning hard-to-reach places. The C21 features an adjustable, telescopic suction tube and an ergonomically designed handle, and it has a 1,250-watt motor, which automatically shuts down if it happens to overheat. According to Vacuum-cleaner-advisor, the Hoover S2220 Flair Bagless Upright Stick Vacuum with Power Nozzle is a sleek and stylish vacuum that—while designed for multipurpose use—works best on hardwood floors. The S2220 features an 82-amp motor, a transparent dirt-collection container and a high-gloss painted finish. The vacuum works especially well when it comes to picking up animal hair and dirt, and its small, lightweight design makes it easy to store and maneuver.